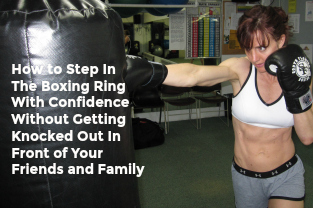 How to Step In the Boxing Ring With Confidence Without Getting Knocked Out In Front of Your Friends and Family! Click YES "I Want More Confidence!" 1. The Decision That Helped Me Go From Wheel Chair To Gold Medal In Four Years and How This One Decision Is The Most Important Factor In Reaching Your Goals Or Not Reaching Them. 2. One Simple Boxing Drill that Will Rapidly Increase Your Confidence...Even When Punches Are Being Thrown at Your Face. 3. The Daily Discipline For Beginners That I Still Use to Train Elite Boxers Because Of The Results It Produces! Click YES "I Am Committed!" And "I Don't Want to Get Knocked Out!"